Some restrictions may apply. Please call the shop for more details. Tom's Automotive Offers Auto Repair Services You Can Count On! Our company was established in 1983 and had been responsible for providing outstanding customer service ever since. Our specialty is in the area of service and scheduled maintenance.We currently provide these services for our community : Alignment, Brakes, Car & Truck Care, Domestic Cars & Trucks, Electrical Services, Electronic Services, Engine Maintenance, General Services, Heating and Cooling Services, Import Cars & Trucks, Miscellaneous Services, Tires and Undercar Services. Our Ormond Beach location opened in November 2009 and is a repair center with all the latest technology and comfort for our customers. Tommy received his Master Certification from ASE in 2011 and has completed many of the GM certification courses. Tommy has 10 years experience working in the automotive service and repair industry and is passionate about customer satisfaction. Tommy enjoys surfing and fishing. For a high-performing vehicle, trust Tom's Automotive with your car, truck, or van. To learn more about the services we offer, please contact us by phone at 386-866-0621 or send us an email. We also invite you to learn more about our dedication to you, our valued customer. 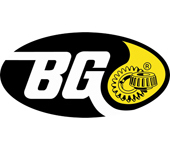 Great service, answered my questions, very reasonable prices. Whole thing is family run it seems, the guy you talk to is the guy fixing your car, and he even takes it for a little test drive so you don't end up having to come back 10 minutes after pick up. Just an honest hard-working mechanic. I will gladly drive, or tow, my car from Jax to Daytona if I ever need work done again. Best place in town to take your vehicle. Knowledgeable, friendly, clean, and consistent. They go the extra mile and the price is right. I did not make an appointment but they we're such a great help getting me worked in! The price was reasonable and around my budget being a single mom I don't have a lot extra to spend. Very professional and friendly! Definitely coming back for anything I need! I have had my two cars serviced by Tom and Tom, Jr. since the shop opened years ago. These folks are the most competent, most reasonable mechanics that I have dealt with in the last 50 years. 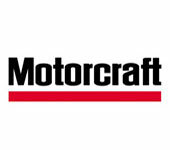 They are certified in virtually every area of automotive repair. If these guys can't fix your car, no one can!!!!! I have had nothing but positive experiences with Tom's Auto. Try them and you will never go any place else. Always HONEST & fair pricing! Wouldn't take my vehicles anywhere else. Wow what great service. On vacation in Ormond beach when our brakes started to grind. 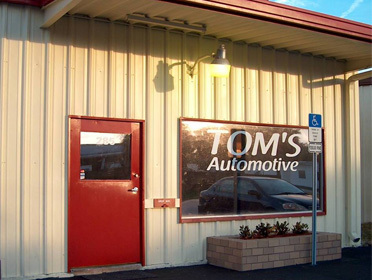 Looked online and found Tom's automotive who had great reviews. They had availability that day, quoted us a very reasonable price and got us on our way. They couldn't be nicer people. We highly recommend this family business. The words "honest mechanic" were never uttered by me until I came to Tom's. Whenever I had car problems I always dreaded the estimate the mechanic would give me - and it usually was astronomical bordering on insulting - especially when I took my car to Holler Honda. When I finally decided to try Tom's I was floored at how thorough, honest and reasonably priced they are. You can tell customer service is paramount as opposed to making a profit - and that's why I won't take my car to anyone else. We just moved up here and have had bad experiences at the corporate shops. Our staff member suggested that we use Tom's Automotive and we are very pleased. It was affordable and they were knowledgeable. Includes FREE tire rotation & 27 point inspection.